Probably the number one question this time of year, is do i tithe on my taxes? What they mean is, am i suppose to tithe on the money i get back on my tax return? That’s a good question. So, here’s a question back. If you owe taxes this year, does the Church refund you tithe back? Probably not. Your gift that you gave this past year is long gone, and rightfully so. I wouldn’t expect the Church to give you any money back. BUT . . . why are we so concerned with asking questions about these minute details on giving? Who really has the answer to tithing on taxes? The bible doesn’t have the answers on how you should exactly give within our complicated economic structure. The Bible was clear to Israel on how they should give their tithe, but the bible is not clear on how much the Church should give. It was simple for Israel – give a tenth of all your increase in crops and cattle(Leviticus 27:30). At harvest, they counted their crop and cattle and set aside the tenth one(Leviticus 27:32). They didn’t have pensions, 401k’s, and interest on grain or cattle. Probably the number one thing that made it easy for Israel to calculate the tithe was the fact that they couldn’t give money, gold, or goods; they could only tithe on the cattle and agricultural increase. Tithing on taxes today, has become complicated at best. I’ve found that when people ask the “experts” on how they should tithe, most of the time the answer they give is a guess. The answers are never solid, and are never based on direct scripture. Most of the “experts” provide answers to these complicated tithing questions based on their opinion or interpretation of principles that they can find in the bible. Some of the answers are not even based on principles. Some of the “experts” give answers on how you should tithe, based on how they think the Old testament tithing system fits into our economic and New Testament structure now. If you read in Matthew 23, you see that the Pharisees were perfect tithers. They knew every tithe question and scenario down to the smallest detail. Although there was nothing wrong with them doing that, and Jesus never said they were wrong in doing that. As a matter of fact Jesus told his disciples in that passage to obey the pharisees. Of course Jesus highlighted with a strong rebuke the actions of the Pharisees that the disciples shouldn’t follow. The difference between the Pharisees narrowing down every scenario of tithing and the New Testament Church narrowing it down is the difference between the law, and grace. Most of these answers you receive on giving the tithing on taxes is an educated guess. The tithe cannot be followed directly through the avenues of the law, so most people just give an opinion on how tithing should be obeyed under grace. The sad thing is the “experts” do not inform you that their answers come from opinion. They give you these guesstimates as if the answers they have come from a direct phone line to God’s tax accountant. So, tithing on taxes? I’d say pray, ask for advice, and consult the Spirit of God to direct you. Because the “experts” can’t give you direct biblical commands, more than likely the answer you get from your tithing on taxes questions will come from the Spirit of God anyways. The law cannot give answers the one who is governed by grace. Should Churches Pay Taxes or be Exempt? Should we tithe on our childs social security from thier fathers death???? I hope you took to heart some of the responses here and saw the light. When in doubt, read what Paul says in Galatians 5 about the Law. In that case, he was addressing new Believers who were being hounded by Judaisers. They were Jews who pursued Paul and tried to get new Believers to follow Jewish laws and customs. In this case, it was circumcision. Regardless, Paul says if we put ourselves under one law, we put ourselves under them all and that the cross is of no benefit to us. He encourages us to live by Grace and by the leading of the Holy Spirit. There is no compulsion to give (2 Corinthians 9:7) so feel free to give or not, whether 0%, 1%, or 11%. But don’t give 10% based on a misconception that tithing has ANYTHING to do with money. It doesn’t and never did. See Deuteronomy 14:22-29. Notice how we Christians ignore 14:1-21 about clean and unclean food AND ignore the fact that the tithe was to be eaten. It mentions money but never says to give it. Would love to share more with you. Our giving is under grace in the new testament. we are no longer under any obligation to give a tenth. As a matter of fact, in the old testament only farmers and herders tithed. everyone else with other jobs did not tithe. Give what you can. Wow! What an answer. I’d have to counter with saying that the tithe doesn’t apply! Now if you insist on tithing, we can reason it out for you. If you tithed on your gross and you get a refund, then don’t tithe again on the same money. If you tithed on the net, then you should probably tithe on some portion of your return that correlates to the difference between your net and gross. If you get more back than you paid due to credits, you did not tithe on that amount previously and should tithe on it plus any other portion of the return as outlined above. Trebord’s last blog post..Why Do Churches Extort Money? Karin, thre is not a single verse in the NT instructing any Christian or church to tithe. None of the apostles taught tithing, none of the apostles quoted Malachi 3:9. Giving in the original church went to minister to the needs of the brethren whether they be ministers, widows, orphans, or the poor. _and done so as God spoke to their hearts who to give to and how much. Many Christians don’t listen to Him at all, whether in their giving or their living. Funny how some Christians go to such pains to preah “obedience” on this point while disobeying in so many other areas. I suggest that those who push this point (1) don’t understand Biblical tithing and either (2) use it to feel “holy” and “righteous” through their obedience, (3) “tithe” because it’s what they were always told and never looked into on their own, OR (4) they understand Biblical tithing but willingly and knowingly preach it to others for their own enrichment. Show me a church that preaches titihing and I’ll show you a church that probably spends to much and pays its pastor too well… and has people in the congregation going without. I did NOT come to abolish the law or the Prophets, but rather I came to fulfill them”. Christ validated the Torah directly here. The man went away sorrowful because he had much. He carried a heavy yoke, like most of us today. Jesus essentially said “lighten your yoke”. Did Yeshua say “go give 10% of your best”? No, he clearly said he preferred ALL. I think 10% is actually Gods minimum but we are too afraid to trust in him. Myself included… if we only had faith of a mustard seed. Brothers and Sisters of Christ, we aren’t to judge our fellow Man. We are all Spiritual criminals about to go to sentencing. We don’t need persecute each other on the way to our own sentencing. Do what the spirit guides you to do in your heart. We already know the truth IMO. You make it sound more complicated than it is. Tithing 10% would be easy and it is simple to look at it through Christ’s words. He said to give of your first fruits. We have become a greedy society that wants as much money as we can get and spends as much if not more than we make. If we train ourselves to give 10% BEFORE taxes and BEFORE child support or 401K then this would be giving of our first fruits. After this we should tither on our investments and if our tax return includes more money than we paid in then pay 10% of the difference. This would more clearly display a true Christian faith as was depicted in the book of Acts. Sadly, Jesus never said “give until it hurts”. Also, while Jesus celebrated the Festival of First Fruits (although we don’t how) and was called the Firstfruit by Paul, he said nothing about us giving our first fruits. It is also said that he aros on the Feast of the First Fruits. But First Fruits is of the Law and Jesus fulfilled the Law. We are not to put any believer under the Law (you may want to read Galatians 5:1-12). If someone wants to give 10%, fine. If he wants to give 1%, then fine. It is not for you or me to judge their need, greed, ability to pay, or their heart in any way. Paul says we should give what we have decided in our hearts to give and to do so joyfully. (2 Cor 9:7) Slaves to the Tithe Law cannot have joy in giving 10% no matter what they may think. You are right about giving everything to God, but you can’t do that without first destroying the legalistic grip that tithing has on people. As someone who is against tithing and for Spirit-led, sacrificial giving; this is my goal. So many who espouse giving everything to God give according to a formula, withholding their time, talent, and the 90% of their income. Have you ever met anyone who gives EVERYTHING to God? I haven’t. I appreciate your point on a Spirit-led life (Galatians 5:13 onwards) and believe your goal is a great goal. Kepp up the good work and encouragement to others. Don’t be fooled into thinking that the Children of Israel had no money. Solomon was one of the wealthiest men to ever live. Not everyone farmed or else who would make baskets, pottery, and clothing? Goods were sold or how could people exchange coins in the temple to pay the temple tax? Even the widow had two mites. If God wanted their gold and silver, he could have commanded a tenth of their wealth or profit. He didn’t. The new temple tax imposed by today’s pharisees is the tithe. Think about it. Read the WHOLE Bible about tithing, not just the verses that circumstantially “prove” the point you want them to prove. You missed my point. I wasn’t trying to say money didn’t exist. Please go to https://www.tithing.com/topargumentsfortithing.html and read #25. My bad, nicely done! More should read your page!!! In my walk with Christ, I’ve learned that I should not hold on to my money. 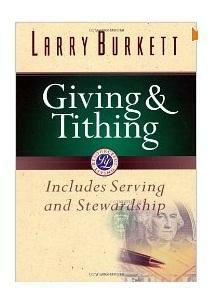 I tithe because it helps the Ministry. I want them to further their mission in helping other believers in being everything that God has called them to be. I do it because the Holy Spirit rejoices in giving. What right do I have to hang on to what God has given me? In regards to scripture; we should pray for revelation when reading! I know it takes discipline and the mind to remember, but when I do pray for revelation, God always reveals something to me. Read , THE TITHING DILEMMA AND THE TRIUMPHS OF LOVE. The problem is that some Christians want to be champions of the tithe, when if fact it belongs to the archives of Judaism and the Mosaic Law. If indeed we are Spirit taught, we shall realise how well He leads in all Truth. In that the Holy Spirit is not associated with the mention or teaching or advocating tithing, is proof enough that tithing is being forced upon the blood bought and Spirit I indwelled believers by those who think the tithe is important or are beneficiaries from the deliberate wrong teaching.